If you or a loved one has been bitten by a dog and would like us to review your case for free, visit our main site. It cost you nothing unless we win your case. With cases all over the state of Ohio Slater & Zurz has handled 1,000s of Dog Bite Cases throughout the state of Ohio. Slater and Zurz LLP is an experienced dog bite law firm serving the entire state of Ohio. We are currently handling over 125 dog bite cases for clients located in 38 counties and 67 towns / cities throughout Ohio. If you’ve been bitten by a dog and are seeking legal consul, we would be happy to speak with you about your case. We’ve helped lots of people receive compensation for their injuries. If you’ve been bitten by a dog, the law is your weapon. Ohio laws, along with your local laws and dog ordinances allow you to recover compensation when you’re attacked. We hope this website will help you learn about the legal issues surrounding a dog bite case in Ohio. The bottom line is, we get results for our clients. When you hire us to protect you, it’s our job to make sure you are treated fairly by the insurance company. Insurance companies employ an army of professionals to try to make sure you receive as little as possible. When you’re with us, they won’t push you around. All of our dog bite cases are done on a contingency basis. That means we don’t get paid unless you win or settle your case. It also means that anybody, regardless of their financial situation, can afford to hire us. We are currently representing clients in towns and cities throughout the entire state of Ohio. We can help you too. $300,000 negotiated settlement for a young girl in southern Ohio attacked by a neighbor’s dog. 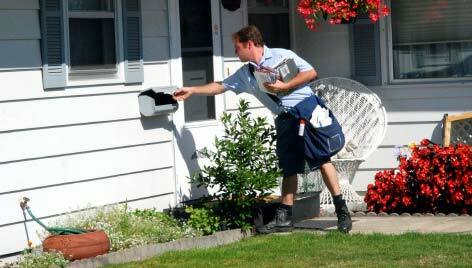 $75,000 negotiated settlement for USPS employee attacked while delivering mail. This case had been turned down by other attorneys.